After the release of the Emberwarm Shawl pattern yesterday I started to do a bit of reading about various iCord edging techniques and how they had differed from the one that I eventually settled on through much experimentation. Many of the iCord edgings that I had experimented left the iCord on the top edge of the knitting, decorative, but it didn’t give the pleasing finish that I was looking for. I tried a few different techniques before settling on one that allowed me to vary the rate at which the iCord progressed along the edge and also entirely wrapped over the edge to seal the selvedge of the knitting completely in a rounded cord of knitting. Once I had this settled it was a matter of experiment as to which decrease to use to make the neatest and closest join with the main fabric. 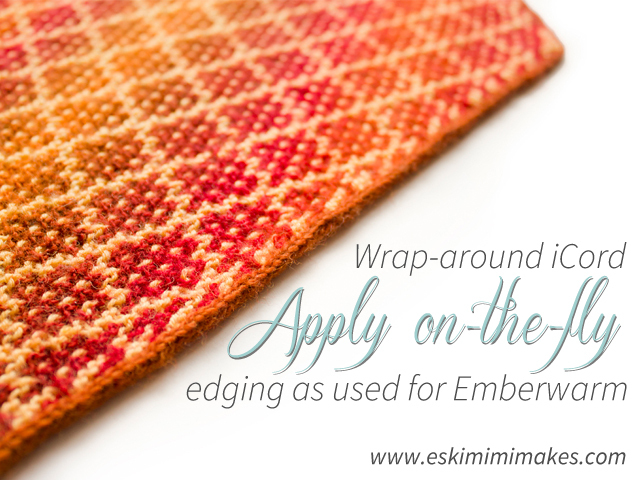 As you can see, the edging gives a beautifully smooth and rounded edging and could be used for many projects (though obviously I am going to suggest that Emberwarm (Ravelry Link) is the perfect project to hone your skills with! Hopefully the video will prove useful is showing why I have chosen this edging to finish the shawl with a very neat sense of simplicity. It was my hope that it would give a finishing touch without detracting from the pattern of the main shawl. 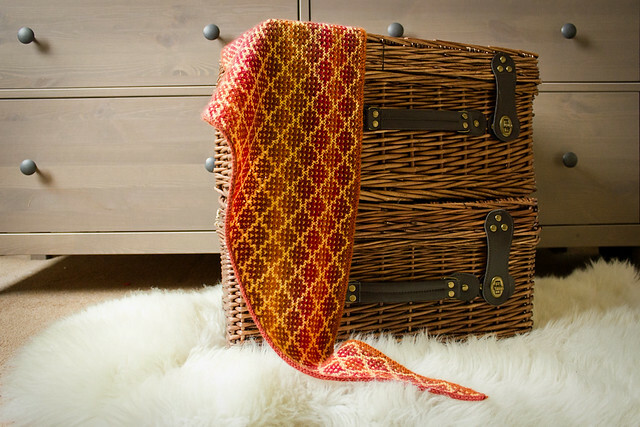 I’m also going to update the published pattern to download with a link to the video for future reference, so if you have already downloaded a copy please watch out for the update! 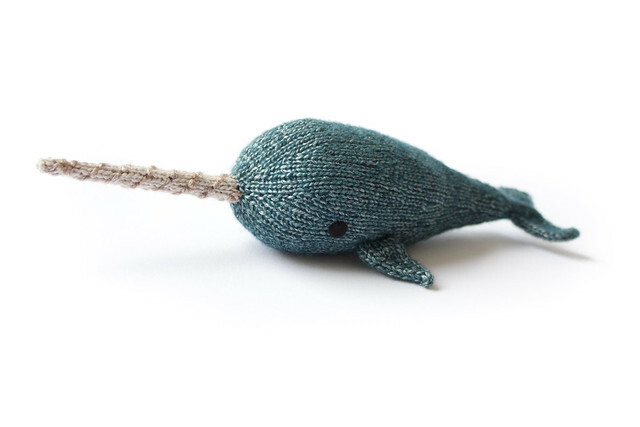 would this work on the side of a stripey blanket? hiding the ends of the stripes? it is just messy sewing them in. will it still be stretchy? you are clever – to state the obvious. It would very much work as a blanket edgeing yes, and that’s exactly the kind of project that would benefit from the edging – something where you don’t want tyo detract from the main knitting, but prodive a nice finishing detaal and tuchk away any selvedges – especially those that have a carry-over colour fron knitting stripes (the same thought process I had witht he shawl, where the change in colour produces a similatr two-stripe carry. so would you knot and snip stripe ends before i-cord binding? or sew them into it afterward?